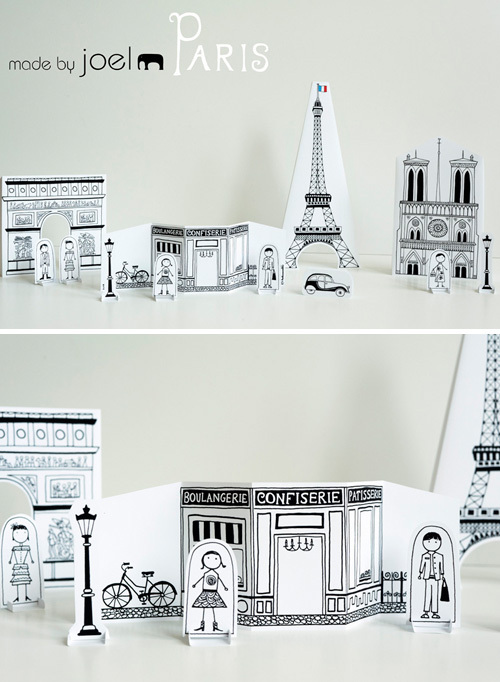 Today I’m loving … these free downloadable Paris City templates created by Made by Joel. This is fun (and educational) thing to do with your kids. Explore Paris together, driving the Citroën car through the Arc de Triomphe, buying candy at the Confiserie, and standing at the top of the Eiffel Tower. You can get the templates here. 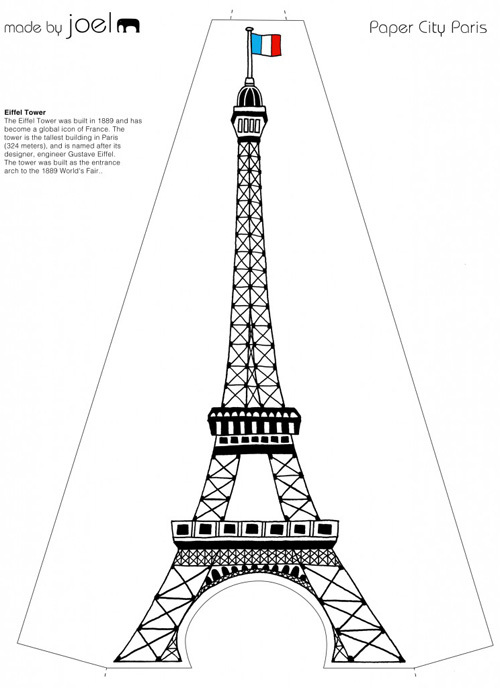 A brief description of the buildings is included so you can tell your children about Paris. Tres jolie! Thanks so much for the tip – definitely something we’ll have to try out with the kids! !